Retaining much of its original charm as a small fishing village along Portugal’s Lisbon Coast, holidays in Cascais are popular with both tourists and locals. The beautiful Bay of Cascais offers stunning views, as well as water sports and activities while the town is full of amenities too. Choose from two professional standard golf courses, relax as you listen to the waves lap the ocean or explore the historic forts where you can immerse yourself in the area’s fascinating history. Perfect for families and couples, Cascais holidays offer plenty for those wanting to keep active. Enjoy golf on emerald green courses which overlook the sparkling waters of the sea or scuba diving, snorkelling, sailing, and windsurfing trips from the beach. Take a boat trip around the coast and find your own secluded bay, or wander through the bustling streets of the town. You’ll find museums, boutiques, chic bars, and excellent restaurants as well as street side cafés perfect for the time honoured Portuguese tradition of people watching. Full of beaches, cobbled streets and wonderful amenities, it’s no wonder so many choose to enjoy luxury holidays in Cascais each year. Spend your days taking in the beauty of the bay and its golden sandy beaches or visiting museums and historic forts. If you prefer to stay in your hotel we have a fantastic selection of carefully chosen properties, with the ultimate in luxury amenities and facilities on offer. Everything will be at your fingertips, including wonderful architecture, fine dining, a selection of swimming pools, and direct beach access. Pestana Cidadela Cascais offers stunning views of the marina and is located in a 17th Century fort which is full of a fascinating history. Its art district is perfect for lovers of history and culture, with 12 museums, and galleries featuring European and international artworks. Chic, modern rooms have everything you need and there is modern artwork throughout. Catch a train from Cascais to Lisbon for the day - they run every half an hour and take around 40 minutes. Lisbon is one of the oldest cities in the world and has so much to see and do - historical sights, museums, trendy shopping malls, street cafes, bars. I absolutely loved my time here and would highly recommend a visit. 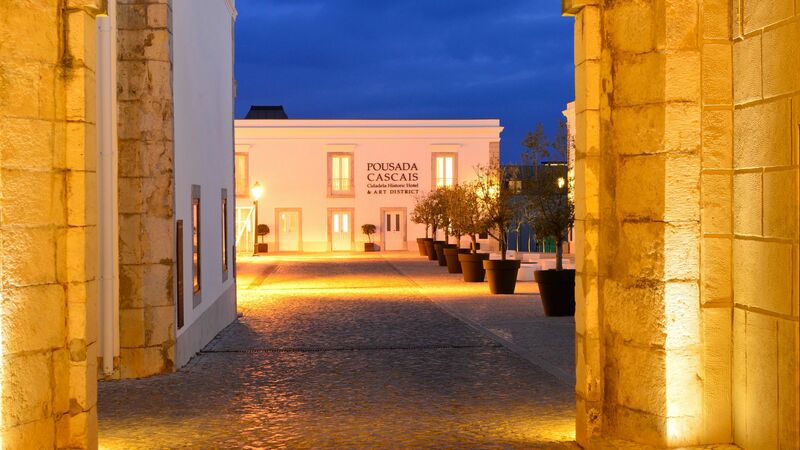 Transfer time from Lisbon airport to Cascais is approximately 40 minutes.